February 21st in Theme Lists, WordPress Themes by Wordpress Jedi . 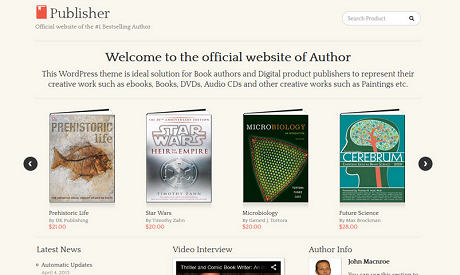 Publisher: this theme makes it easier to sell books on your site. It has its own built-in selling system and offers WooCommerce integration. The homepage is fully widgetized. You can also use it to maintain a sideblog. 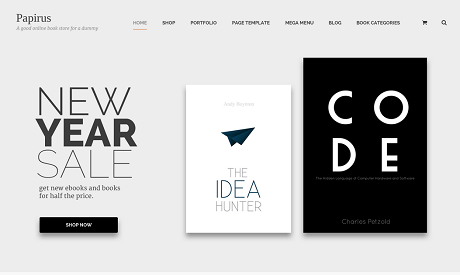 Book Store: a bookstore theme for WooCommerce. It is responsive and has multiple portfolio layouts, blog styles, and a page builder. 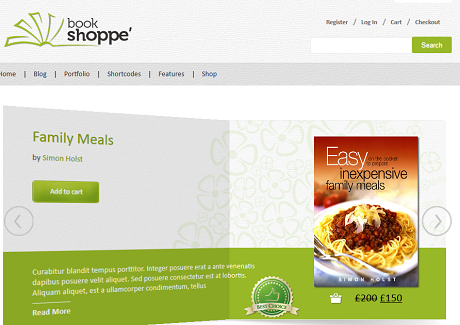 Raakbookoo: a WooCommerce theme for bookshops. It is responsive and Retina ready. You get a mega menu and interactive sliders to promote your books. Papirus: a multipurpose WooCommerce theme powered by Visual Composer. It has a responsive design, interactive sliders, and a mega menu dropdown. It has various useful shortcodes, several page templates, and more. 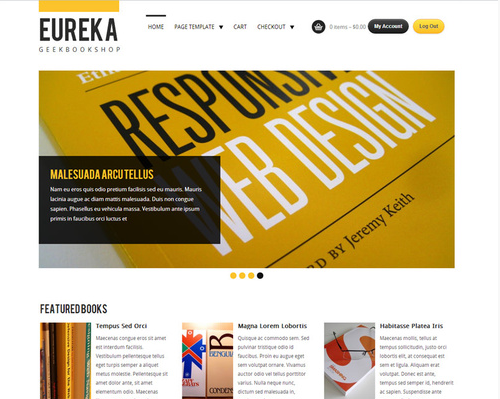 Eureka: a minimalist theme for WooCommerce bookstores. 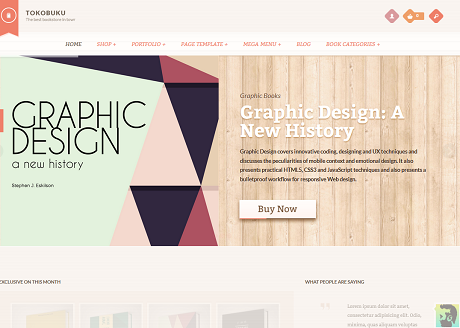 The theme is fully responsive and offers a featured content slider, built-in shortcodes, and more. What’s your favorite bookstore theme for WooCommerce? Please share it here.